We are accredited to the highest standards as a security shredding provider in the UK. Our certifications give confidence we are a trusted and responsible shredding company. We meet the highest standards available for our shredding services and data destruction. See our standards, certifications and accreditations detailed below. Click the logo to view our certificate. ISO 9001 is the most recognised international standard for quality management systems and the audit process and accreditation proves our commitment to providing a quality service meeting the needs of our customers. EN 15713 is the standard specifically relating to the secure destruction of confidential information and proves that we meet requirements for managing, controlling and disposing of confidential information securely and safely. ISO 14001 is the standard for environmental management. It also applies to improving resource efficiency and waste reduction to operate cost-effectively. This standard allows us to meet company environmental goals while complying with all applicable legislation. Shred Station Ltd has achieved official CarbonNeutral® certification by working with Natural Capital Partners, who are experts in the delivery of solutions for positive impact on carbon and renewable energy. This accreditation demonstrates our net zero greenhouse gas emissions in accordance with The CarbonNeutral Protocol, which is the global standard for carbon neutral programmes. To achieve the certification an independent assessment of the C02 emissions produced by our vehicles and premises was carried out. Helped by our numerous commitments into renewable energy sources, sustainable development, and carbon-offsetting initiatives, this has enabled us to report a net zero carbon footprint. Any business accepting card payments should be aware of the need to be PCI DSS compliant to process card payments securely. We comply with this area of the standard for taking card payments from customers. Level 1 is the highest a service provider can offer. Achieving this allows us to handle and destroy data, on behalf of other businesses, at the most secure level. The Cyber Essentials certification demonstrates our commitment to cyber security and keeping our systems and data safe and secure. 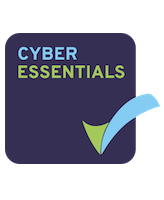 Cyber Essentials is a Government backed scheme to help organisations protect against cyber attacks. Read more about the certification here. Click the logo to view our membership certificate. The trade association in the UK for the professional security industry is the British Security Industry Association (BSIA). The BSIA have been leading and shaping the security industry for over 40 years. In 2015 our Managing Director, Simon Franklin, was elected vice-chair of the Information Destruction section. The United Kingdom Security Shredding Association (UKSSA) is the only UK association dedicated to Security Shredding operational standards. The requirements that members must meet are the highest in the industry. SafeContractor accreditation reassures our customers that health and safety is being handled correctly and sufficiently. FORS accreditation demonstrates best practice with regard to our fleet. Accreditation covers safety, emissions, fuel efficiency and other aspects to show we are a responsible fleet operator. We are currently the only security shredding provider to be accredited by the GLAA. Achieving this certificate is a positive step to show we are a responsible employer, committed to the welfare and health and safety of our staff.